Being crowned Egg Packer of the Year in the 2018 Poultry Business National Egg & Poultry Awards was a huge, but welcome, surprise, for St Ewe Free Range Eggs. “We’re small compared to other packers,” says owner Rebecca Tonks. “So we were shocked, but also felt a real sense of pride,” she says. Rebecca says that they expected the award, which is sponsored by Polymer Logistics, to be picked up by a much larger company. But St Ewe proved that sometimes the best things come in small packages when it wowed the competition judges with a mixture of ambition and dedication to business development and growth, as well as commitment to the wider egg producing industry. St Ewe Free Range Eggs, based on a small farm near Truro in central Cornwall, is a family run business. Rebecca works with her mother Christine and father Richard and they also employ 22 people. 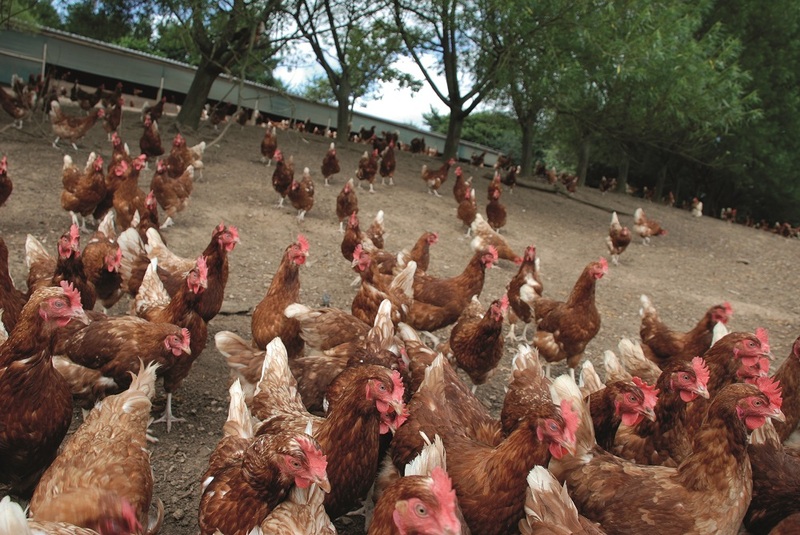 “We have been producing free-range eggs since the early 1980s and in 2007 we decided to setup our own Lion-accredited packing centre, supplying supermarkets with regional free-range eggs,” explains Rebecca. Since then, the business has grown and now supplies four major supermarkets and many catering wholesalers throughout the UK with its multi-award-winning free-range eggs. St Ewe has many different brands of free-range eggs and this ‘differentiation’ is achieved by feed ration. “We work closely with our feed supplier, Humphreys Feeds, which supplies bespoke diets for our flocks, enabling us and our producers to achieve excellent production from a standard hybrid bird, and, at the same time, maximise output,” she explains. In 2016, the business installed an egg pasteuriser in the packing plant. “We can now process our own ‘seconds’ and offer extended life to our laying flocks. In turn we now supply many more companies with our luxurious liquid egg, which is used for manufacturing mayonnaise, sauces, meringues, mousses, ice creams, baking products, and protein drinks across the UK,” adds Rebecca. All the staff employed – both full- and part-time – at the plant are local people. And all employees are trained to be able to help in each sector of the business – from collecting eggs from the poultry houses to packing, pasteurising, loading vehicles, unit turnarounds and helping at trade shows. This past financial year has seen the business invest £500,000 – in a new pasteurisation plant and a second packing centre, as well as another refrigerated vehicle. The business has also made sure it’s been outward looking from the offset too. “We are quite small in the grand scheme of things, but as a business we give our time to the local Truro college and discuss our business and experiences and have given advice as an external advisor for its marketing degree course,” says Rebecca. She also takes time to sit on the Cornwall Agri-Food Council board and St Ewe is also a member of an independent advisory group for DEFRA, as well as the local council and the EADRF, LEADER and local LEP funding processes. Marketing and innovation are key to the success of the business: “Without our innovation we would not be able to offer an interesting range of free-range eggs and we would not have been about to – or continue to – carve our own niche in the poultry industry. “And marketing is important because an egg is not just an egg anymore. The ever-changing platform of social media has taken the marketing of our brand to another level. This keeps evolving and we never stop learning,” says Rebecca. Looking to St Ewe’s future, expansion is on the cards for 2019. The business is taking free-range eggs from three more regional units, comprising an additional 32,000 birds. The business also needs to keep a close eye on costs and that’s why St Ewe is also looking to relocate to a bigger site to put up a purpose-built packing plant. “We need to compete with some of the larger packers, in terms of our efficiency, and that means adopting some of the latest innovative technology – the machinery and equipment – that will allow us to be more cost-effective in terms of our operation.